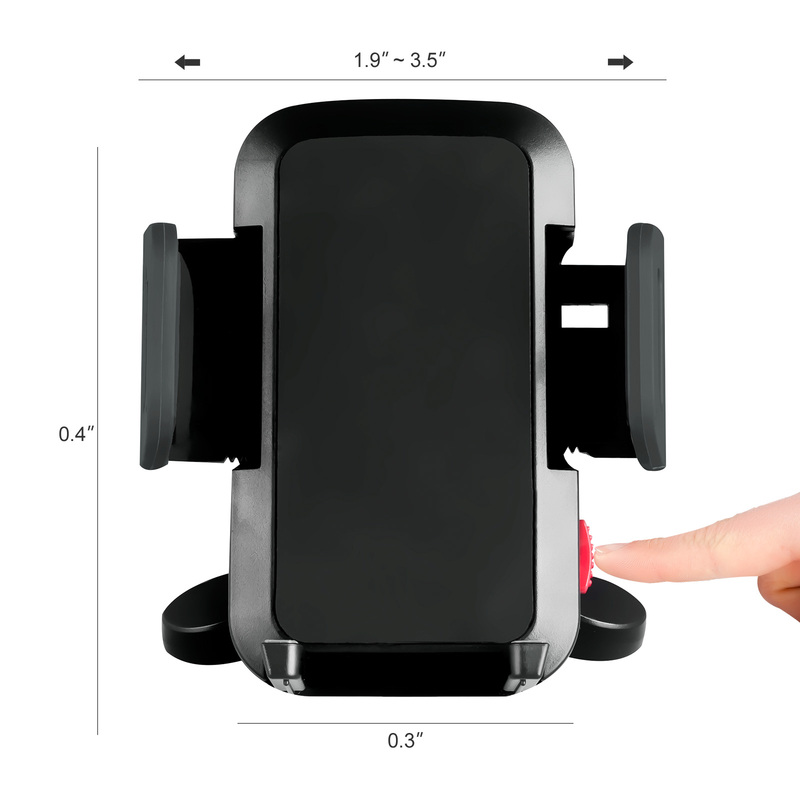 One-Touch design with a release button, it’s easy to put a phone in and it holds tight firmly, fits to various smart phones. 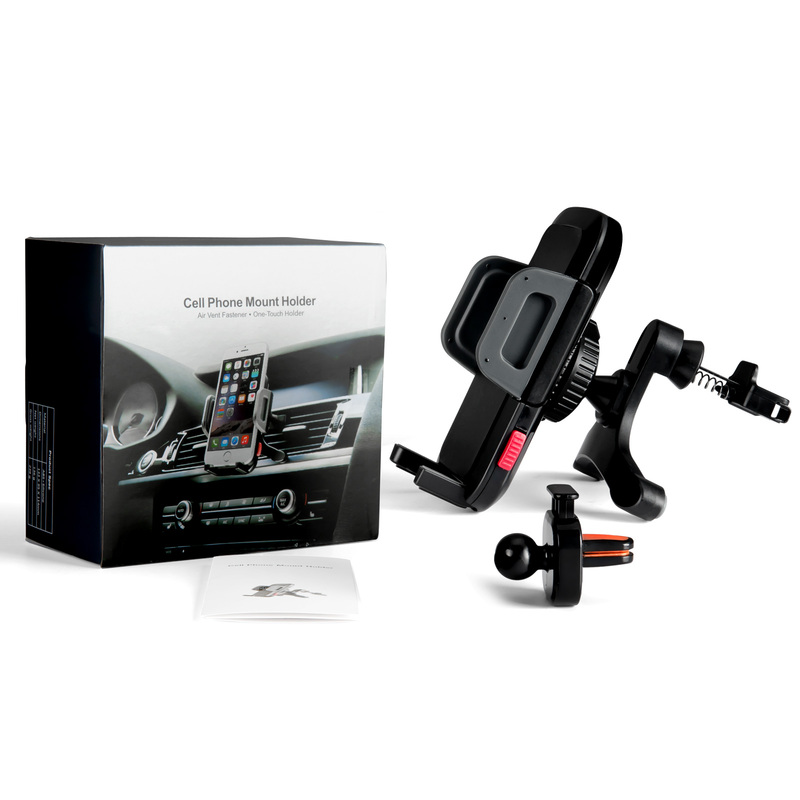 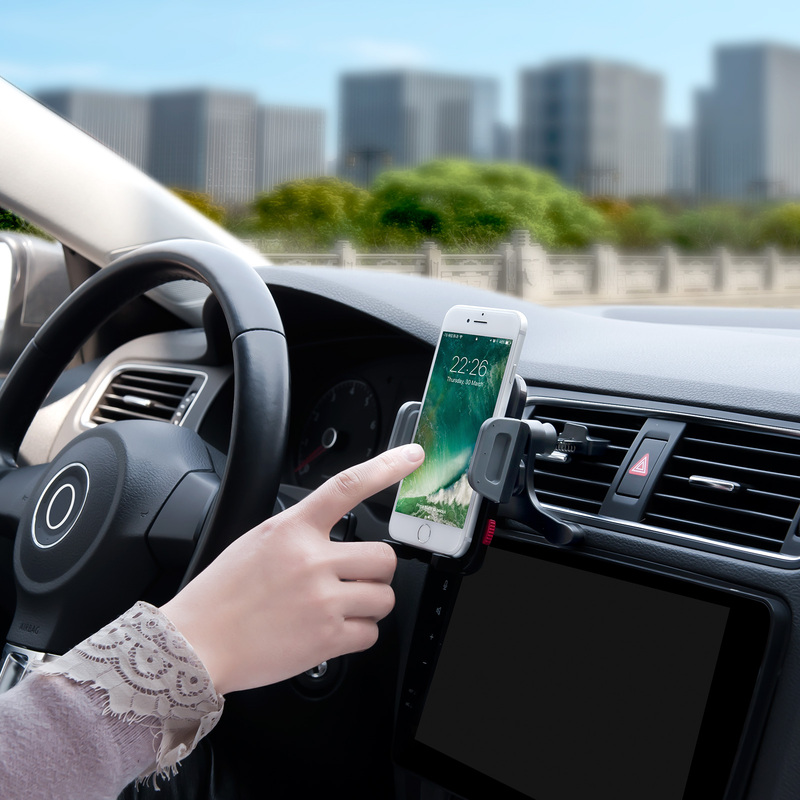 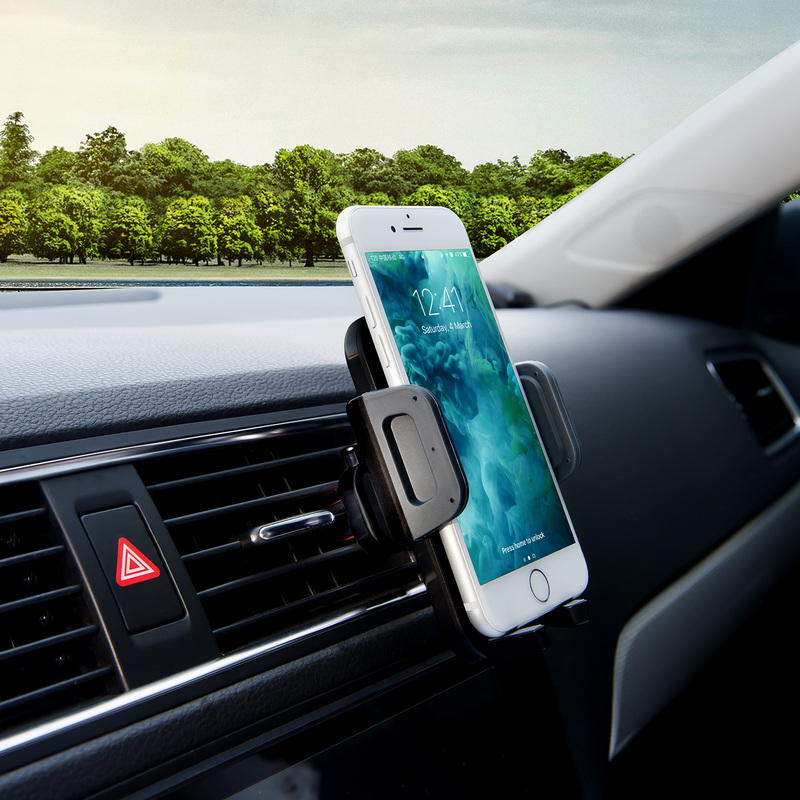 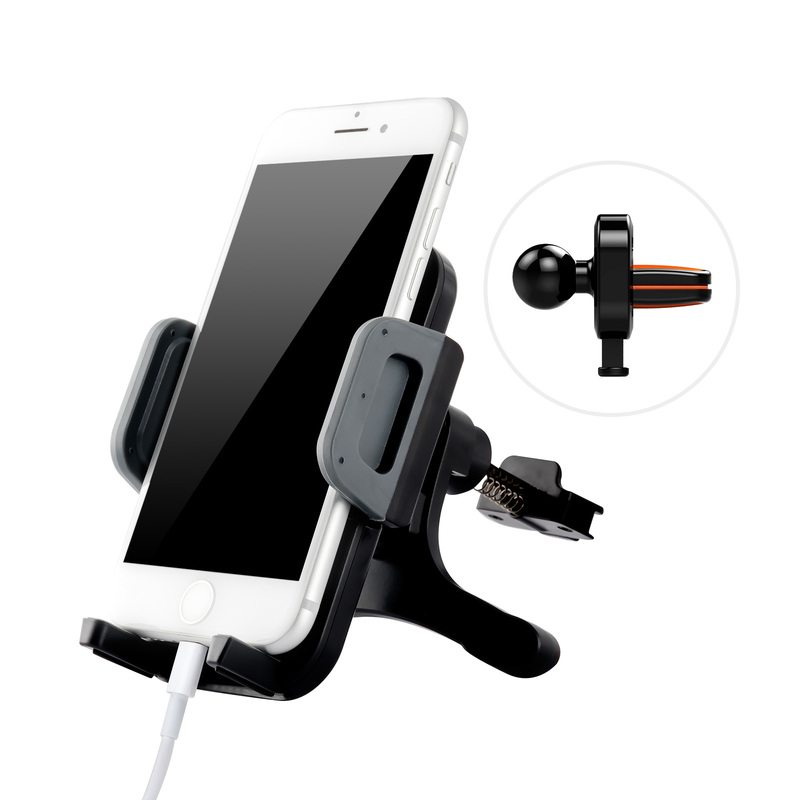 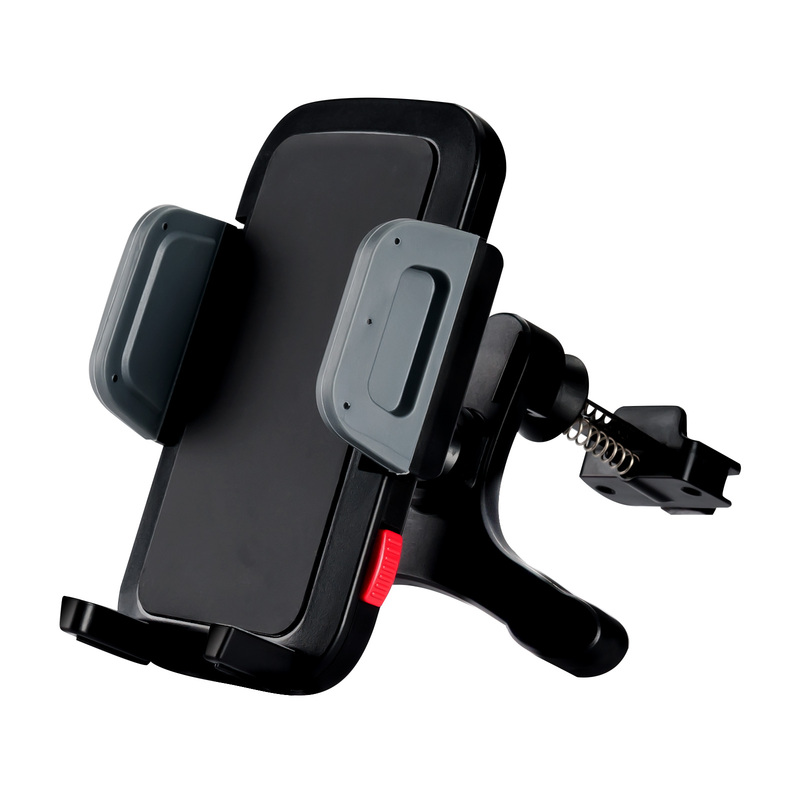 Insert the hook to the air vent to fasten the mount, it works together with the other two points to provide the very steady support for your device. 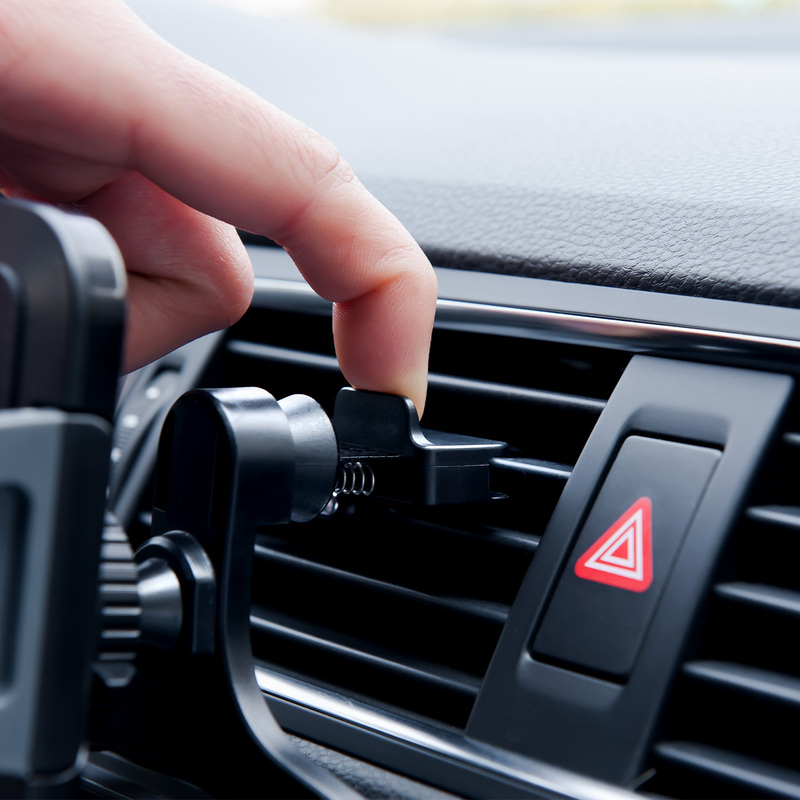 Addional provide an air vent base so that the holder can be used for air vents. 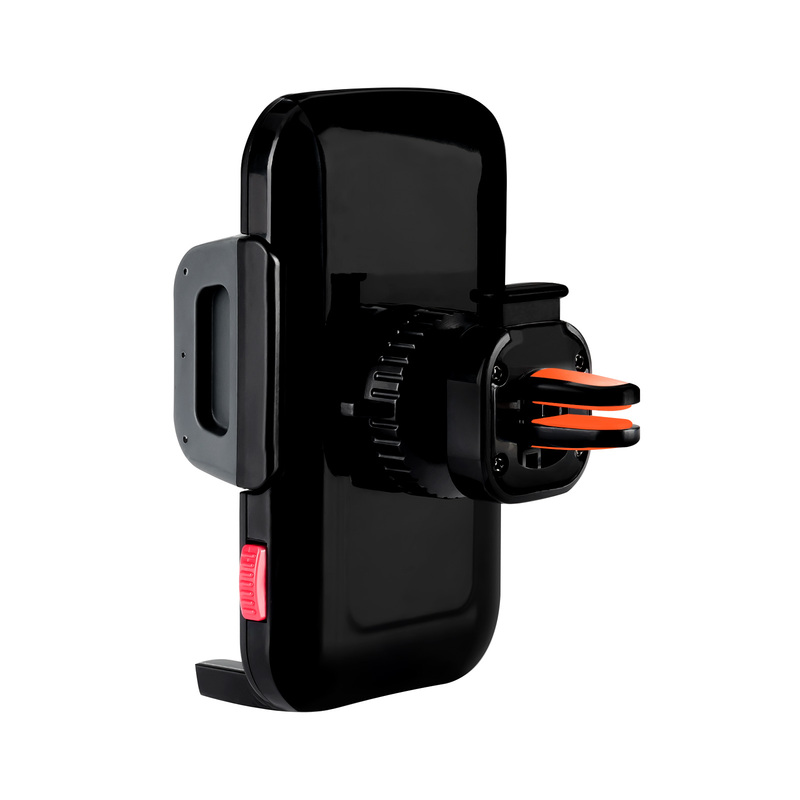 Provides a choice of 2 pieces of the hooks, the different length of the hook to fit kinds of air vents.